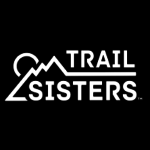 Please welcome the fourteenth American Trail Running Association (ATRA) Trail Ambassador presented by CamelBak, and the second in 2018. Meet cancer survivor Victor Mariano, a trail race committee member, trail builder, and tireless volunteer. In his nomination, Aaron Saft wrote, “Victor Mariano embodies the human being we all should strive to be. He is selfless, hard-working, and humble. He not only creates trail maintenance workdays for our community, but goes out at least once a week to do trail work on his own, or with others, hanging trail blazes, doing tread work, trimming encroaching foliage, bucking downed trees. 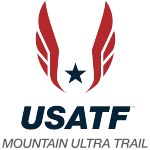 He has been a member of North Carolina Mountain Trail Runners (NCMTR), since its inception in 2015, and over the past year, has become more involved as a volunteer with NCMTR as well as the associated non-profit Run828Foundation. He was instrumental in building the website, Run828Foundation.org, and creating the membership forms and donation collections. In his volunteer roles, Mariano enjoys being an aid station captain, as well as doing other ‘behind the scenes’ work. “I check the trails, help aid station set up, turn by turn directions and sometimes even help with marking the courses,” said Mariano. “I want to make sure the runners have a positive experience and a successful race. I enjoy the trail running community camaraderie and how we all support and encourage everyone, of all levels and abilities. Mariano works closely with a few race directors to assist with course mapping, website development, and has even helped deploy two different race-timing systems. 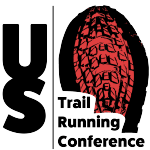 This summer he will assist with the inaugural Ute 100 Mile Trail Race in Moab, Utah, an event in which he has been involved from its inception two years ago. With a growing knowledge of trail maintenance, Mariano has connected to, and works with a number of trail crews that have recurring work days each day of the week. He recently attended the US Forest Service two-day chainsaw certification class so the NCMTR can have a certified sawyer and he has applied for a four-day trail maintenance workshop conducted by the Pisgah National Forest this May. He has also adopted two sections – about 3 miles – of the 1150-mile Mountains to Sea Trail (MST) becoming a section maintainer. Trail running is not so much about minutes per mile. Preventing injury should come first. If you do get an injury, get proper treatment and seek help from a doctor if needed. Remember to cross-train! It will help with all around body fitness. The ATRA Trail Ambassador program is presented by CamelBak with support from adidas Outdoor, OrthoLite, Health I.Q., LEKI USA, and CEP Compression.